Over the past few years, the Humble Skyline has become more widely known amongst we Australians. It seemed that the later model Skylines were becoming increasingly popular, and the owners of these cars are well catered for with their own internet forum and a very active internet site (Skylines Australia or SAU). The R31 Skyline club also caters well for the owners of that model skyline, with once again a great informative forum and website. Other Nissan Datsun Vehicles are well catered for with the Nissan Datsun Sports Owners Club, and the Nissan Car Club. It seemed that the earlier classic models of the Skyline were being neglected in a club based forum, and it was with this in mind that Carolyn Kruger started the club in early 2008. The club caters for all Nissan Datsun makes and models, including all model Skylines, but was incorporated to bring together those owners of all things Skyline, from the very early Prince GT's and Gloria's to the Early R32 Series cars. Of course every model in between is also well represented in the club. We are first and foremost a membership based club, and if you are interested in becoming a member, please contact us so we can send a form to you. We run many motorsport and social events throughout the year, so come and see what we do. As club, we are proud of what we have achieved in the time we have been around, including our Fantastic win at the Cars of World with "A Best Club Display" perpetual trophy on our first major club show and shine. And not to mention a couple of very successful Skyline National events. CSA have a monthly meeting located at Michelangelo's Restaurant, Aspendale Gardens from 7pm-9pm. Come down and enjoy a great night out, and a top feed with fellow Skyline, Prince & Datsun enthusiasts! We always have an excellent raffle, and a bit of fun with the ever so challenging quiz, and are keen to see new members get down and tell us what you are all about. 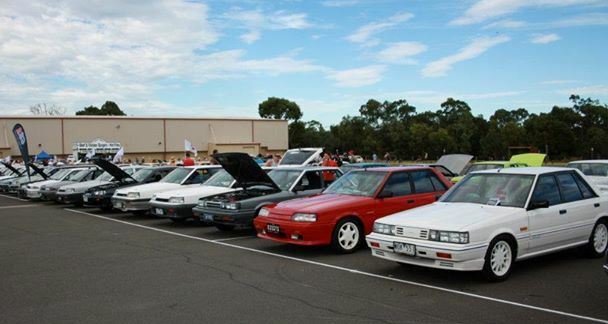 The Skyline Nationals is a sub-branch of Classic Skylines Australia, and having many successful bi-annual events, the Skyline Nationals are the PROVEN largest Nationals of its type in Australia. With the 2010, 2012 and 2014 creating massive weekends, the 2015 Nationals will surely be greater still. www.skylinenationals.com.au for more info.